As report cards go, S&P’s assessment of the national broadband network is one of the more scathing F’s for fail. 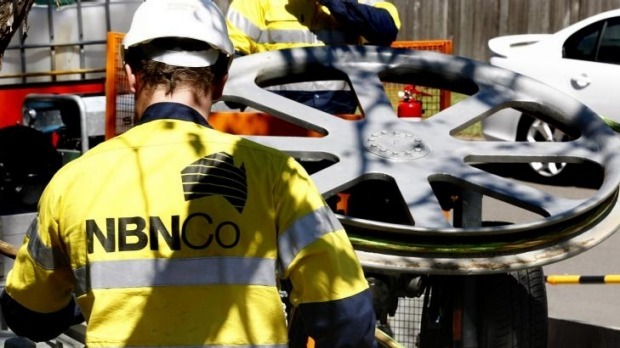 The report from the global credit ratings agency criticises NBN Co’s pricing structure and its impact on the whole telecommunications industry. But most of all S&P condemns the policies which have produced the current mess and the politics which still make it too hard to acknowledge technological and commercial reality. And while the report maintains successive Australian governments have “underestimated the complexity of the NBN roll out”, it’s clear it’s the Turnbull government which will pay the highest price for misjudging the market and the impact of fast moving technology. Malcolm Turnbull, while still Communications Minister in the Abbott government, was always keen to remind the public he had to work on an NBN debacle he had inherited from Labor rather than starting afresh with a more viable model. He also insisted an all -fibre national network, rather than the combination of copper, HFC cable and fibre that he authorised, would have cost taxpayers much more and taken even longer to deliver. That’s all true. Just as it’s also true Turnbull must take responsibility for approving the current approach of NBN and continuing the fantasy it’s possible for the project to make enough of a return on the government’s $29.5 billion “investment” to keep it off budget. Yet any prospect of an adequate return was completely undermined by both Labor and Liberal governments promising to “end the digital divide,” effectively forcing NBN Co to massively cross subsidise regional and rural Australia from more profitable urban areas. The report bluntly states what is increasingly obvious. In addition, S&P predicts that incentive structures will push mobile network operators to invest heavily in their own infrastructure to effectively by-pass the NBN, risking an “industry-wide misallocation of capital”. Whew. That’s a pretty uncompromising judgment of what’s gone so wrong in Australia. S&P predicts that incentive structures will push mobile network operators to invest heavily in their own infrastructure to effectively by-pass the NBN, risking an “industry-wide misallocation of capital”. 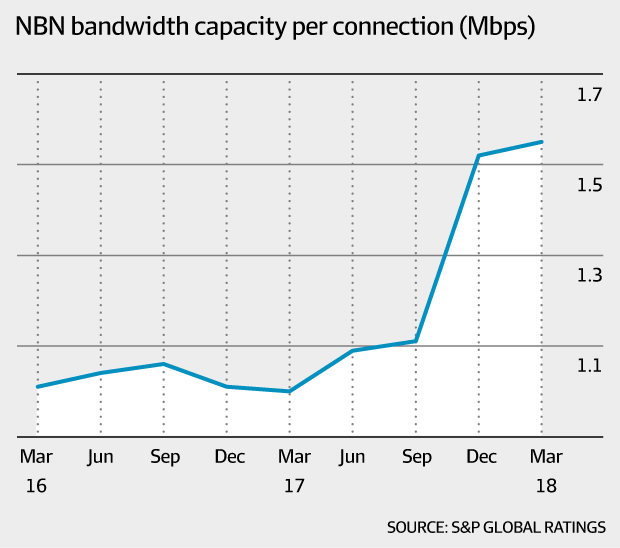 S&P acknowledges that NBN Co does have to contend with a global phenonenon of rapidly advancing mobile technologies, such as the imminent arrival of the 5G network, but it points to the “uniquely Australian” problems. Yet even then, NBN Co’s financial model doesn’t add up. Not enough people are interested in buying its services, particularly at higher speeds, at the price they are expected to pay. But somehow NBN CO expects average revenue per user to increase to $52 a month by 2021, up from $44 now and despite several years of stagnation. One result is that in purchasing power parity US dollars terms, Australians already pay on average $65.99 for stand alone high speed fixed broadband plans of between 25 and 100 megabits per second – putting Australia at number 19 of the 23 countries in the survey. But nor do the numbers add up for even the largest incumbent telcos like Telstra and Optus which are also sacrificing margins for market share – so much so that re-seller margins on the fixed broadband offered by NBN are close to zero. That leaves mobile operators, including Telstra and Optus, to use advances in mobile technology to substitute for the NBN due to the fewer regulatory restrictions on their “wireless fibre” networks. The bad news is that NBN Co’s high access charges, due to the need to promise a return, have already led to relatively lower speeds and adoption rates for fixed broadband services as provided by a government enforced monopoly supplier. Not that S&P expects mobile networks to completely supplant the NBN any time soon. “The threat posed by mobile networks is more chronic than acute,” it says. “In the near to medium term, capacity constraints will limit the widespread adoption of mobile broadband. We all know how unexpectedly quickly technology can move – nowhere more so than in mobile. 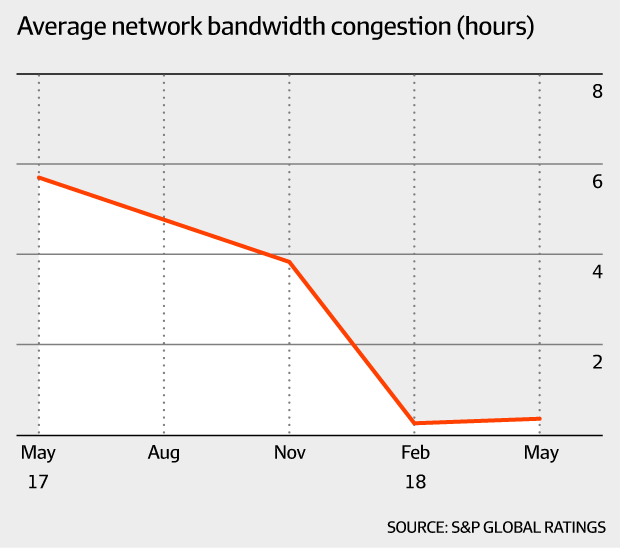 S&P predicts a worst case scenario of NBN becoming the network of last resort. Even a rather better scenario would still ruin the government’s plan to eventually sell off NBN Co at a profit, or at least with something like the value nominally assigned to it. Don’t forget the government has also “loaned” NBN Co tens of billions of dollars more to allow it to complete the roll out. If Labor wins the election, Bill Shorten would be tempted to blame the Turnbull government for taking a multi-billion dollar write down on the network. But that also means accepting a large direct impact on the budget. If the Coalition is re-elected, Turnbull would be reluctant to concede responsibility for such a big cost. What’s the bet the political fantasy might continue a while longer yet?